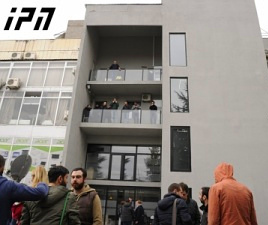 TBILISI, DFWatch–The Georgian TV company Maestro has been taken over by two brothers, one a rock singer and the other a former presidential candidate, but staff won’t let them into the building. Maestro’s majority owner is now Giorgi Gachechiladze, a rock singer who seven years ago ran a 24 hour reality TV show to protest the Saakashvili regime, while his brother Levan, the opposition candidate in the presidential election in January 2008, is director. The brothers are legally in control of Maestro, but staff won’t let them into the building, while other owners have launched a splinter channel with an almost identical name – Maestro 24. According to one of the founders of Maestro, Bacho Kikabidze, Maestro 24 began broadcasting on the frequency of TV 11, a comedy channel. The broadcast signal on that frequency currently carries a frozen logo of Maestro 24 while the carrying the audio signal of a radio station associated with Maestro TV called Radio Maestro. Kikabidze has asked the Communication Commission for a permit to broadcast Maestro 24 to all households in Georgia as a trial. He also told journalists that his team has offered the technical staff of Maestro to join the new Maestro 24, but a similar offer has not yet been extended to ‘old’ Maestro’s journalists. 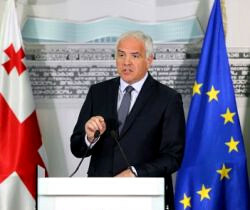 The fired director of the television channel which first made an impact as an independent voice during the final years of Saakashvili also appeared at the press conference. “People who didn’t want me to leave Maestro made a decision to broadcast Maestro 24,” Baia Gadabadze said and offered all of Maestro’s journalists to come join the new channel. February 1, rock singer Giorgi Gachechiladze became the owner of a majority share of Maestro, after which he appointed his brother, a former politician and candidate for president Levan Gachechiladze, as director. 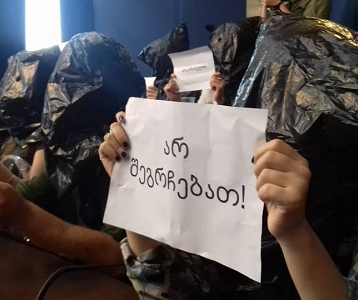 Gadabadadze said the decision was politically motivated and might threaten the channel’s editorial policy. She said she won’t let Giorgi Gachechiladze, who owns a 55 percent share in Maestro, and his brother the new director enter the TV building. According to the Public Registry, Giorgi Gachechiladze owned 25 percent of shares, but purchased 15 percent shares from Giorgi Ebralidze and 15 percent from Levan Chikvaidze. The other owners are Maka Asatiani – 25 percent, Mamuka Glonti – 15 percent and Ekaterine Akobia – 5 percent. In October, former director Baia Gadabadze submitted lawsuit accusing Maestro of being insolvent and requesting to declare it bankrupt. A partner’s assembly was held, during which Maka Asatiani, one of the shareholders, demanded to immediately pay back money she had lent to the company, after which partners decided to launch bankruptcy proceedings. 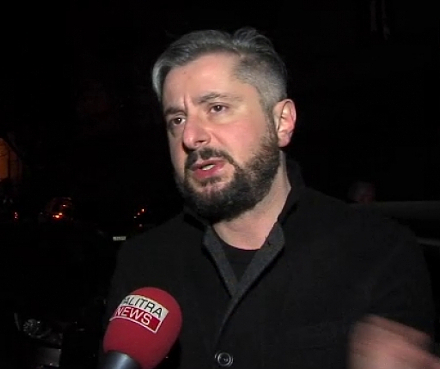 Giorgi, or Gia, Gachechiladze explained that he wants to save the TV company from bankruptcy, which is why he addressed the family of deceased businessman Badri Patarkatsishvili. 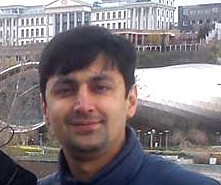 He borrowed money from the businessman’s friend and former partner, Irakli Rukhadze, who chairs the company Salford Georgia. It is unknown how much money Gachechiladze paid to the former owners, but rumor has it that it was about USD 2.5 million. Baia Gadabadze’s protest concerns the origins of this money. She says that the owner of Maestro became an unofficial manager of Imedi TV and it is also logical that a company which has 50 million in debt cannot be commercially attractive and a person who purchases such a company can only have political motives. “The only logical result of those events can be losing the editorial independence of the channel,” she thinks. Before the deal, Imedi TV purchased advertisement time on Maestro and another channel, GDS. Further fuelling debate is the fact that the new owner of Maestro, Giorgi Gachechiladze, is a close friend of Prime Minister Giorgi Kvirikashvili. Giorgi Gachechiladze claims that Maestro’s ratings have fallen drastically, which is why he is surprised why people question the dismissal of the director. He promised that the channel will be free of pressure, but the format will change and there will be many changes. The goal is to exceed Rustavi 2’s ratings. “I promise that I won’t have a conflict with anyone, ever, and will always talk to those people who want to develop Maestro and want it to be a good channel,” he said. Journalists working at Maestro issued a statement which reads that the major thing for them is to have the same editorial independence as when Gadabadze was in charge. The Public Registry has so far published no documentation about the change of director at Maestro. Shareholders Maka Asatiani and Mamuka Glonti support Gadabadze. The latter doesn’t want to let the Gachechiladze brothers into the office, which is the property of Maka Asatiani. The TV company has reinforced security. The leadership of Maestro discussed reorganizing the TV company in December, 2014. About 20 employees left the channel. Among them there were well-known journalists Nino Zhizhilashvili and Vakho Sanaia. They said that the channel was to become ‘ideologized’, which is why they left. Studio Maestro was founded in 1995. In 2008, it became political TV channel and in the beginning of 2009 it was one of the most popular channels in Tbilisi. 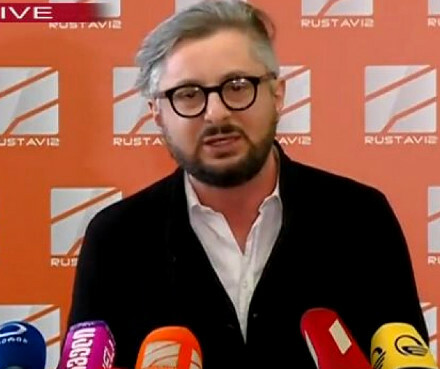 In the same year, there began a political reality TV show featuring Giorgi Gachechiladze caleld ‘Cell number 5’ and Baia Gadabadze was its producer.